ELIZABETH CITY, NC - Can you believe we've made it to the end of June? The year is halfway over, and it just feels like yesterday we wondering why it was getting SO COLD in North Carolina! However, the end of June and the beginning of July brings about one of our favorite holidays: Independence Day! With so many things going on around town, we thought we'd cover some things to do in the Outerbanks for the 4th of July! It wouldn't be America's birthday without fireworks! 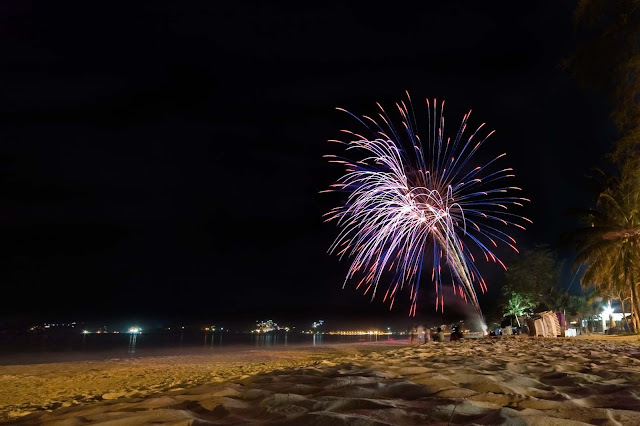 Here are some local fireworks you should definitely check out! Get there early, and bring the lawn chairs! 4th of July just isn't right if you don't attend a parade with the family! How fun do these sound? We cannot wait for the holiday weekend, the only bad thing is choosing which fireworks show to see and which party to go to. Do you have a list of fun things to do in the Outerbanks for the 4th of July? Share them with us! You can always check out our past blogs for fun facts about Independence Day to share with your friends! Looking for the best car for your 4th of July Weekend? Check out this 2015 Red Camaro Convertible, or this 2015 Jeep Wrangler Sport! Perry Auto Group has two dealership locations to serve you better at 1005 W. Ehringhaus St, Elizabeth City, NC, 27909 or 1001 Halstead Blvd Elizabeth City, NC 27909. Feel free to call us with any questions at (252) 338-9100.